We work with various accounting firms and decided to do a review of the market to see where things are headed. What we see is major disruption on a scale that is unprecedented. Yes I know this may be seen as being dramatic, but bear with me. Our survey reveals that while 38% of accountants view new technology as a threat to their profession, 96% are confident about the future of accounting. While new technology will force practices to adapt, it will also help them save time, reduce costs, and offer new, more personalised services to clients, says Sage Vice President of Product Marketing, – Jairam Padmanabhan. I read the above as a warning from Jairam. What he is saying is that accounting firms will be forced to adapt. What about the ones that don’t? What about the other 62%? Do they see technology as an enabler? With 96% being confident about the future of accounting does this mean that they will be putting on more staff or will staff numbers drop. Will you need your back office in India or China if tech does the job faster and is more accurate? Jairam believes now is the time for accountants to embrace change. I personally agree with him, it is time for accounting firms to embrace change. However, most do not have the capacity to do this and they would need to engage a technology specialist change agent to assist them with their business transformation. This is where we come in. Total tech for Accounting Firms and their customers. Let’s have a good look as to what is going on. The Australian Accounting Market is becoming a very threatened space with many technology changes taking place. This can lead to decreasing the billing hours an accountant can charge their clients for. Plus, the Big 4 competitors are onto everything to do with technology. The Big 4 dominated the Top 100 firms in 2017 with everything to do with revenue share and technological savvy. These 4 firms accounted for over 70% of the total revenue of the Top 100 with the largest doing $2.5B. The next after the Big 4 coming in at No. 5 is doing about $375m. When you get to about number 35 that firm is doing about $10m PA. Most accounting firms see technology as something that is happening all around them, however, is not something that they need to be really looking into themselves. and other associated tools which they use on an every-day basis such as document management, super tools, tax tools etc. They think that they have technology sorted. But, what happened this year? MYOB who have 3 practice management platforms which have never been integrated tried to buy Reckon’s APS which was knocked on the head a couple of months ago. Where is their Cloud based solution and will it be here shortly? Not from what I can tell. Accounting Firms usually have their own internal ICT team or they have their ICT outsourced. We for example outsource accountants ICT. There can be a problem with having the ICT outsourced in that most companies doing that outsourcing do not see what is going on with the accounting marketplace overall. They are purely the infrastructure (both on-premise and/or Cloud guys). In general, these accounting firms are missing out on the full picture that a technology practice can offer them. You need a complete view of technology for both your practice and being able to consult to your customers. We also see a level of complacency with the Top 40 firms that we have reviewed. 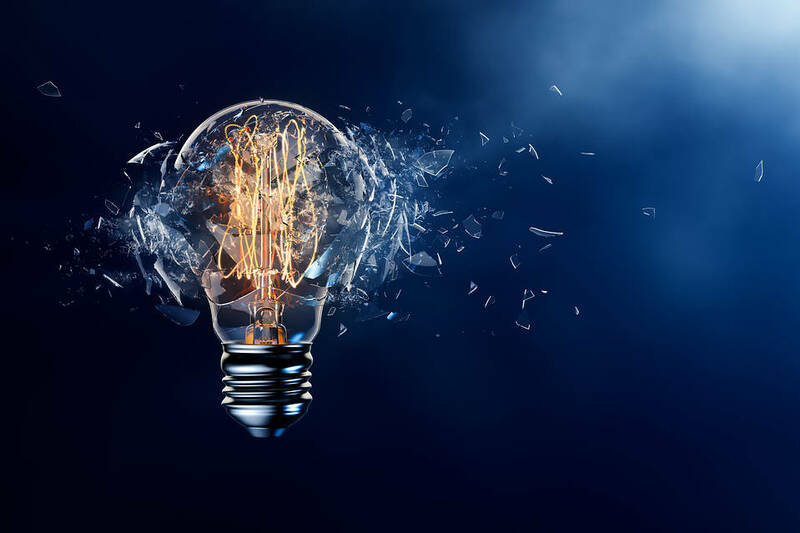 To be candid this complacency is heard most strongly from the top of organisations where traditional accounting has stood the test of time and where consultants have been spruiking imminent disruption for many years. So it’s understandable, but that doesn’t mean it’s right in 2018. Whilst we think the complacency in future disruption is misplaced, we also believe that some of the things that Accounting leaders do agree on are going to have implications that are not yet fully appreciated. Yes, the Big 4 and some Australian firms have embraced technology and have purchased technology firms to enable them to be Business Advisory Firms in the truest sense of that expression in 2018. If you don’t offer clients technology advice along with accounting and tax advice then you are not being a business advisor. Most firms do not offer the tech component and as this year rolls on they will become further pressured from their customers who are looking for a transformational solution that they expect their Accounting/Business Advisers assist them with. We all know that the Big 4 use tech extensively and even have Data Scientist labs coming out with fantastic solutions to automate the audit role plus many other initiatives. Machine Learning (ML) is a big one as is Artificial Intelligence (AI). Smart automated audits is just one area where this tech will play a role. They want the auditor to be a forensics specialist, they will be fine tuning this role to provide a much greater service to their clients in a very timely fashion. They also now pose another threat to other accounting firms as they will be going after their clients with next wave business solutions incorporating – Customer Relationship Management (CRM) Solution combined with Enterprise Resource Planning (ERP), which is financials, inventory, payroll etc. These products will compete with the likes of Attache, NetSuite, SAP Business 1 etc. If you have customers using their platform to run their business then it is a short step to become their business advisor. As competitors to the incumbents they will be very strong as they have go to market collaborations in place with the biggest bank in the land to offer services that they cannot get from anyone else. A fully Integrated Business Solution with your Bank in real time. Accountants must embrace technology and either purchase the expertise or collaborate with a team that provides a total technology solution for them and their clients. Previous: Previous post: Total Business Transformation for clients and prospects starting from an MSP role. Next: Next post: Office 365 when and where you need it.